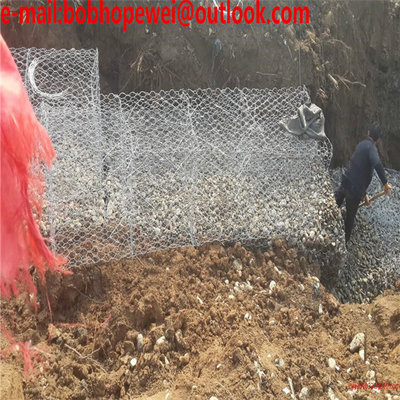 gabion Mattresses are made of double twisted hexagonal wire mesh and are used for permanent erosion control in channels,stream bank,spillways,river bank,and stable slopes from erosion or corrosion.The stone confinement within the units allows for higher shear stress resistance than riprap.made of PVC coated galvanized wire,gabion mattresses are divided into compartments and filled with stones at the project site.With lids colsed,the gabion mattresses from flexible,permeable,monolithic structures.Considerd a robust alternative to rip-rap,gabion mattresses offer long term performance against aggressive flow conditions and do not rely on vegetation for their hydraulic performance.The 100 ft (30m) long units make installation fast and cost effective. 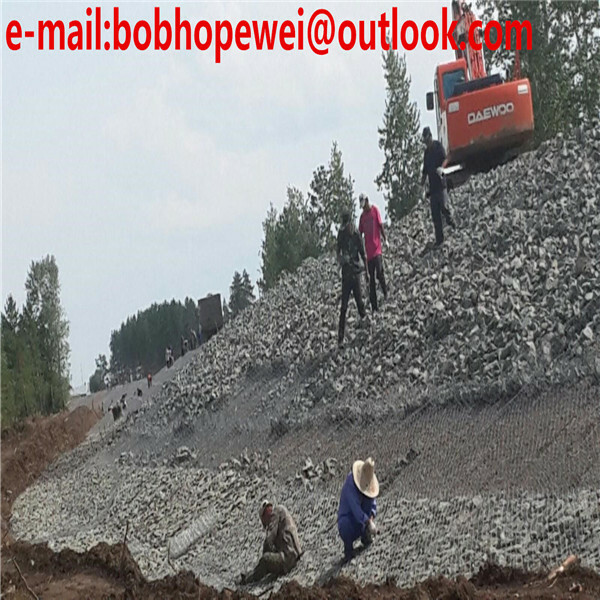 Mattresses are relatively small in height in relation to lateral dimension of a gabion and are generally used for channel linings.Ecomattresses are good for soil stability. 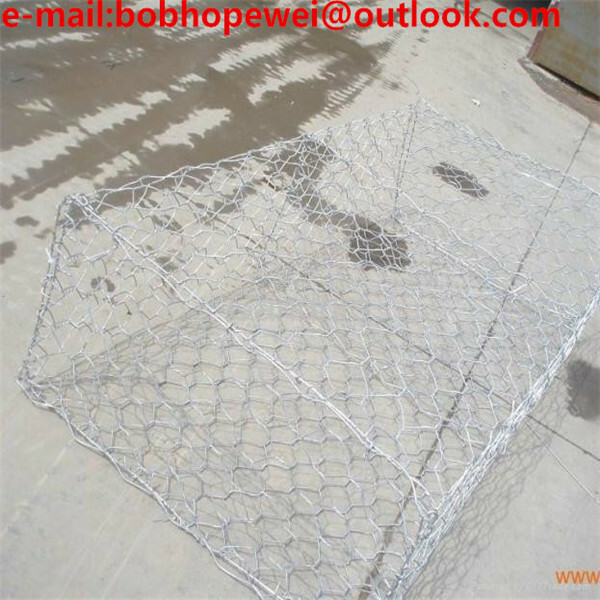 The edges are reinforced with heavier gauge wire and the mattress is divided with internal partitions to form uniformly spaced cells,which is good for channel linings and bridge protection. heavier wire running along the edges. The base section is divided into compartments to restrict the movement of stone and strengthen the structure. The lid is supplied as a separate panel. The wire will not unravel even when cut. Assembly is easy, requiring no specialized labor and nearby rock is used for fill. Free drainage and 30-35% voids allow vegetation to grow. A:General delivery date is within 7 to 9 days aftering receiving your 25% deposit. Q:Do I require rainage bethind the retaining walls? A:Yes,as drainage is one of the most important elements in any retaining wall construction with an appropriat AG pipe properly connected to a legal stormwater system. A :We are qualified in making gabion baskets,and we have more than 12 years experience in this industry. 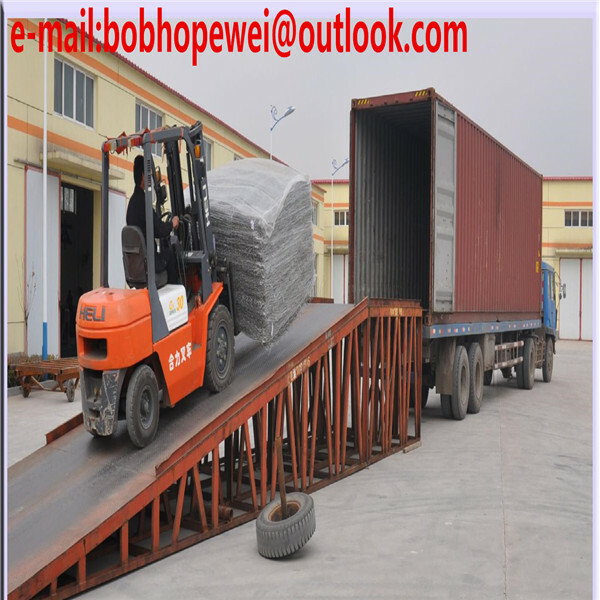 A :We guarantee excellent quality,prompt delivery and warm services,as well as after-sales service.